In 1962, Don Hall — a Christian college graduate, former drug user and criminal — felt called to start a Teen Challenge center in Los Angeles. With a two-story building in downtown Los Angeles and the mentorship of David and Don Wilkerson, Teen Challenge of Southern California was born. While Teen Challenge of Southern California headquarters has since moved to Riverside, a residential induction facility for women continues to operate in Los Angeles. 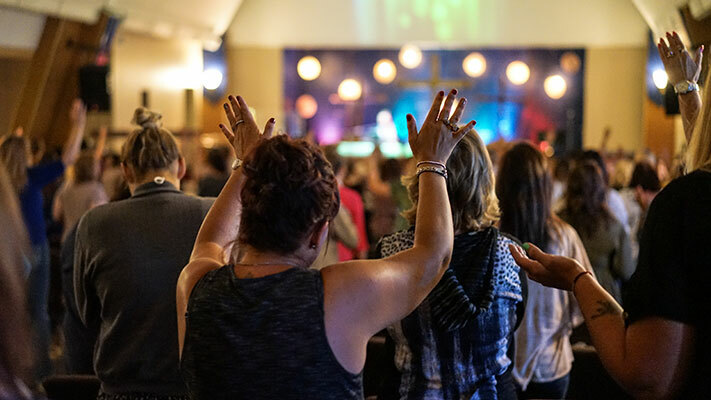 At Los Angeles County Teen Challenge, women prepare to enter the 8–9 month Teen Challenge Christian Life Center in Ventura, California, where they will complete their studies and graduate approximately one year after walking through Teen Challenge’s doors. At Los Angeles County Teen Challenge, we reach out into the surrounding communities with a message of hope and redemption through drug education and prevention, teen and gang intervention and visits to jail and juvenile hall. In addition, we provide crisis counseling and weekly support groups for people and their loved ones who are struggling with addiction. We are passionate about meeting spiritual and physical needs around us in many ways, including food distributions on a regular basis. As a New Creation Choir, our students love to visit churches and organizations all across Southern California, sharing inspiring songs and testimonies of God’s transforming power. Students in the Induction Phase of Teen Challenge Southern California (TCSC) are introduced to the spiritual principles and life disciplines that are at the heart of the TCSC ministry. Church attendance, chapel services, prayer times, Bible-oriented classes, personal devotions, Bible study and meetings with TCSC staff teacher/advisors are all vital elements of the students’ daily or weekly schedule. Many students choose to accept Christ as their Savior or rededicate their lives to Him during the early stages of the Induction Phase. Allowing Jesus to become the central focus of their lives is the single greatest reason why Teen Challenge is so successful. Students also perform chores around the center such as laundry, kitchen duty or grounds maintenance as well as involvement with work activities away from the center, community service projects, and fundraising events.